Kailynn West shows infectious contentment on "La La." West, who leads power-pop four piece Tiny Stills, shares a message that is simple to adhere to, yet always difficult to put into practice: be yourself. On the hummable "La La" - a play on words which attributes a carefree attitude to any negative influences - she means to drown out all the outside noise. Her renewed enjoyment beams with every candid gesture on the band's performance-based video, where they all put forth a spirited dynamic that's lead by her crunchy, guitar-driven pop. 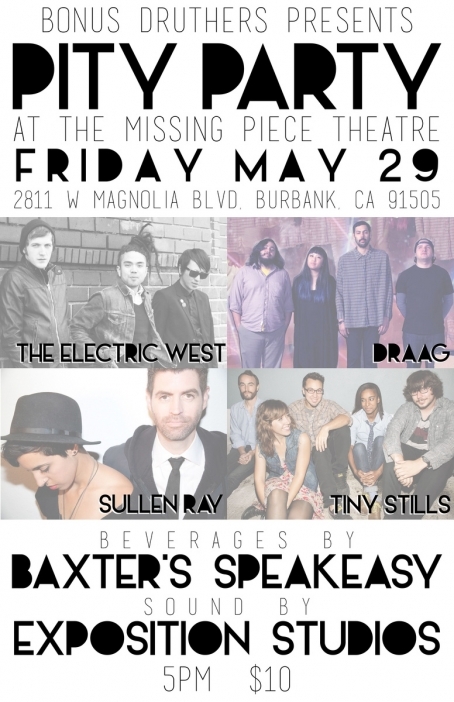 LA music & arts collective Bonus Druthers are hosting a second Pity Party tonight (wait — when was the first one?!) at the Missing Piece Theatre in Burbank. Stuck in NoHo with no plans? Start your summer break by getting intimate and sweaty with four great LA bands. The Electric West: the post-punk blood brothers that will fog up any venue. Dig their new album Verdugo but missed them at Ghost Noise's residency? Redeem yourself! You'll be glad you did. 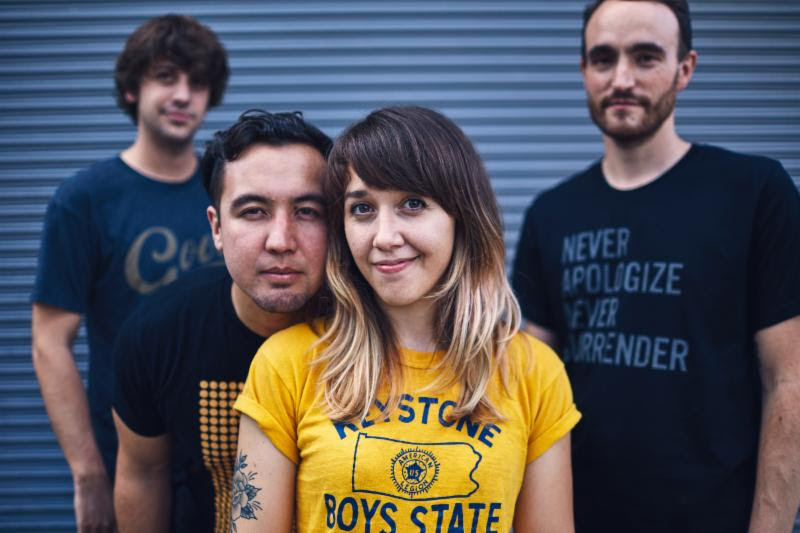 Tiny Stills: moniker of Kaitlynn West, Tiny Stills blasts easy-dancing indie pop way loud, the kind of stuff that would make Colleen Green proud. Sullen Ray: producer Seth Eubanks' solo-thing-that-turned-into-a-duo with singer Dee Clement. Rosy 90's reminiscent duets and righteous jams. 'Nuff said. Draag: the up-and-coming quintet sporting valley fuzz and valley feels. It's crunchy, it's heavenly; it's gaze-inspired rock that inspires you to mosh.